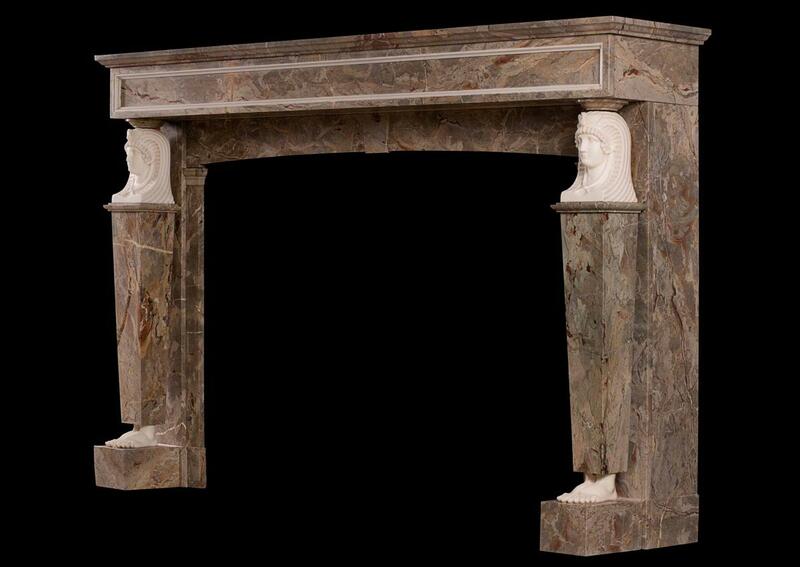 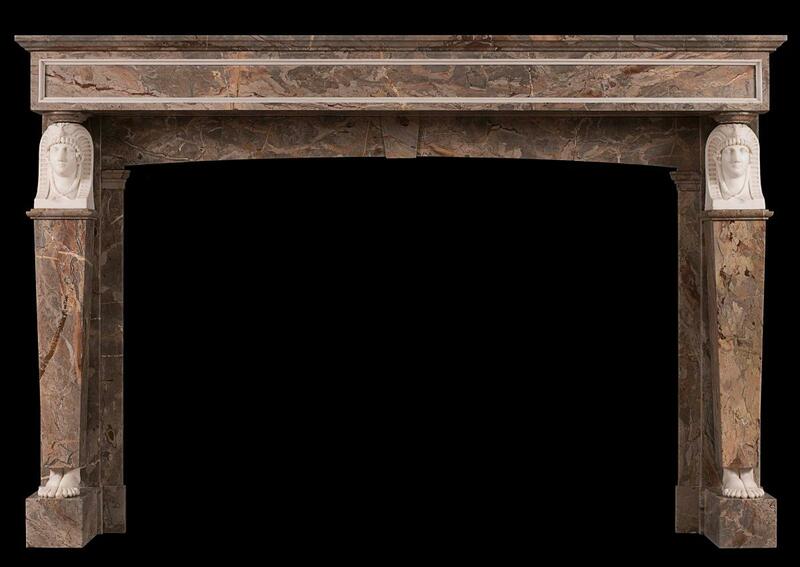 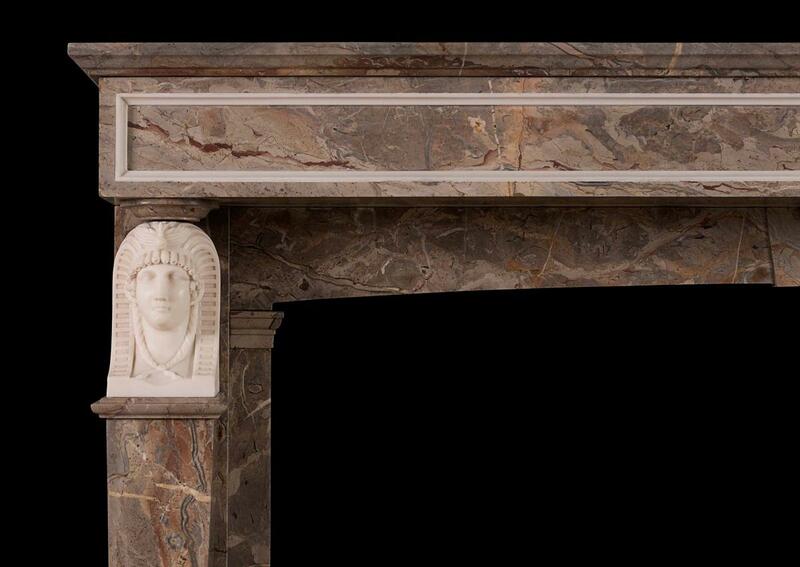 An impressive French Empire fireplace in richly coloured Sarancolin marble. 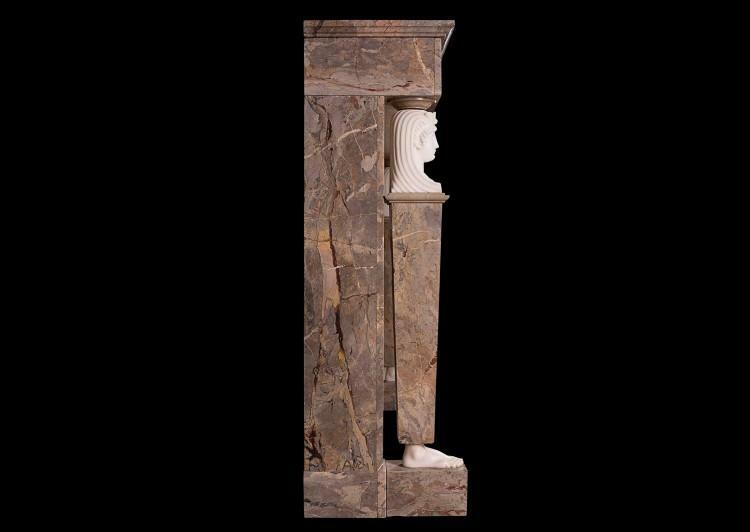 The finely carved Egyptian Caryatids in Statuary white marble with Sarancolin square tapering pilasters. 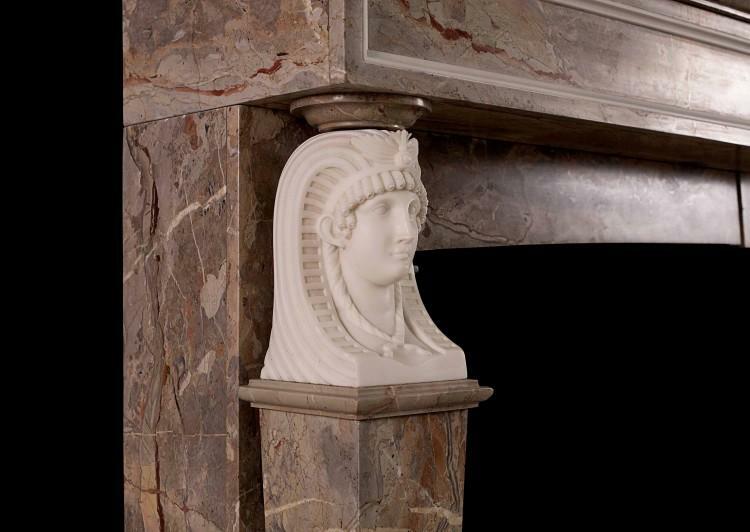 The panelled frieze with white marble moulding, and gently shaped stretcher below with marble keystone. Surmounted by moulded shelf. 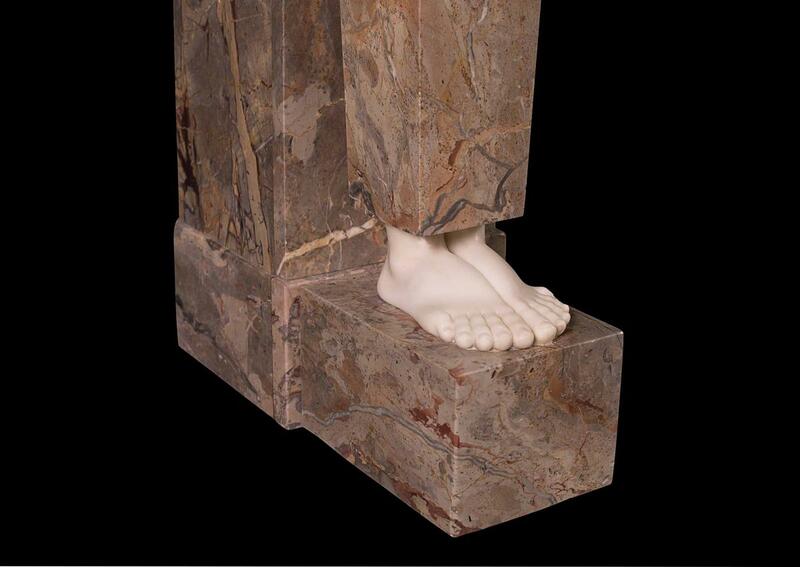 French early 19th century.